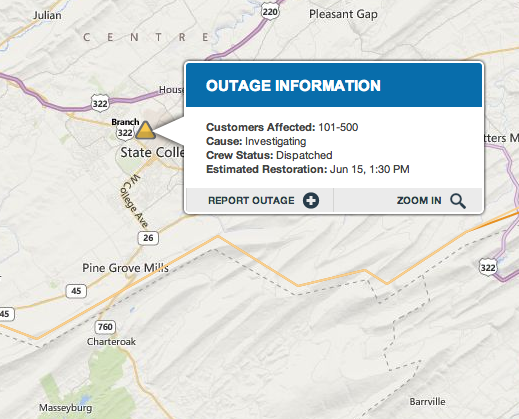 West Penn Power spokeswoman Joleen Hindman says that a power outage that occurred this morning in the College Heights area of State College has been investigated and fixed. The blackout left 133 customers without electricty. A fuse had come loose from its position and has now been replaced. It's unclear what caused the problem. "Sometimes crews find a squirrel or a branch that caused it to open, sometimes they don't," Hindman says. "Power is back on now." 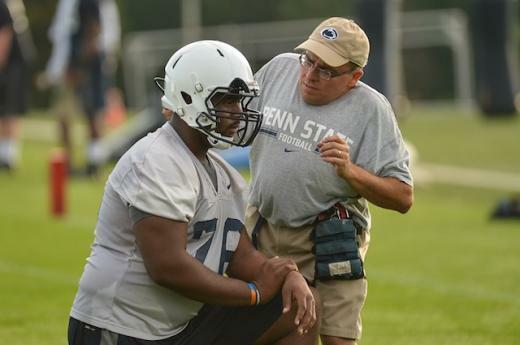 Equipment manager Brad "Spider" Caldwell finished his final day at Penn State this week and lots of current Nittany Lions gave Caldwell one final "bon yoyage" before he moved on. Having been a part of the lives of over 1,000 football student-athletes, Caldwell will retire from the University after 31 years service.